Pontiac Home Bakery is your hometown bakery with downtown appeal. We are still baking the favourites that stir up memories of Christmastime, warm cinnamon doughnuts and fresh fruit pies at family dinners. Under new ownership since 2007, we have expanded to offer a new lunch menu, exquisite wedding cakes and cupcakes and decadent squares. We even serve morning coffee. 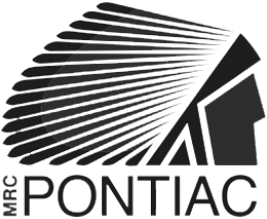 Established in 1951 by Eckhardt Elliott and Orla Young, the Pontiac Home Bakery is located in the heart of Shawville, Quebec, a picturesque town of approximately 1,600, in Pontiac County. One year later, Eckhardt took over the bakery himself, with the help of his son, Darwin, and staff. Mr. Elliott senior died in 1973 and the bakery was then taken over by Darwin, his wife, Marilyn, his son, Neil, and staff. They continued to work together as a third generation family-run business until 2007, when Darwin and Marilyn decided it was time to retire. Since then the Duggan Family – Heather, Dan, Austin, Roy and Kate – has owned the Pontiac Home Bakery. We have continued the tradition of providing you with the same high-quality, freshly baked goods at affordable prices. We’ve used the same “Elliott” recipes you’ve loved for three generations and made some new additions, such as our to-die-for Pecan Butter Tarts, and our popular Three-Bite Cherry Cheesecakes. If you are new to the Pontiac Home Bakery, please stop by and tell us what you think!